Recovery as a service (RaaS) is cloud-based disaster recovery for businesses that’s used to protect their data and prevent service disruption. It gives an organization a complete system backup allowing a business to continue to operate in the event of system failure or natural disaster. 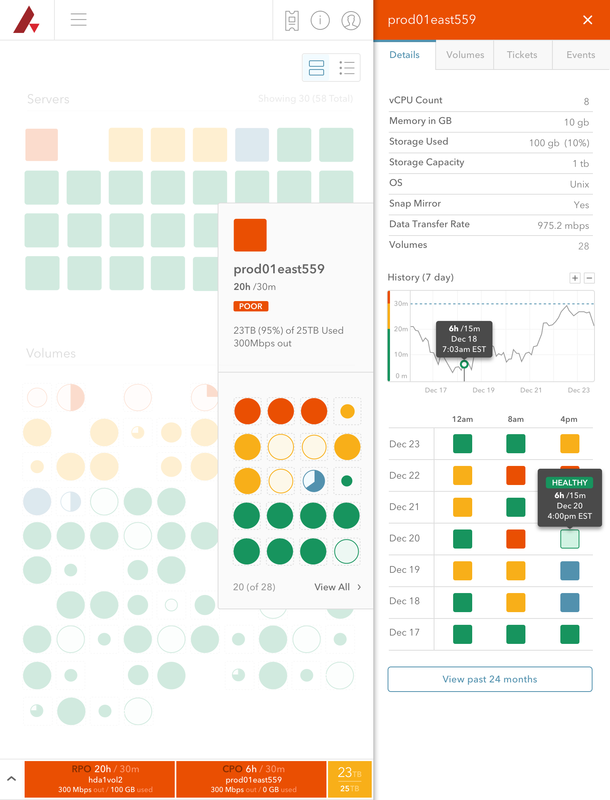 RaaS customers need a fast, simple way to visualize the health of both servers and volumes, with the ability to drill into further detail, quickly identify problems, and submit support tickets to remedy issues. There's a ton of complexity in a typical disaster recovery environment. 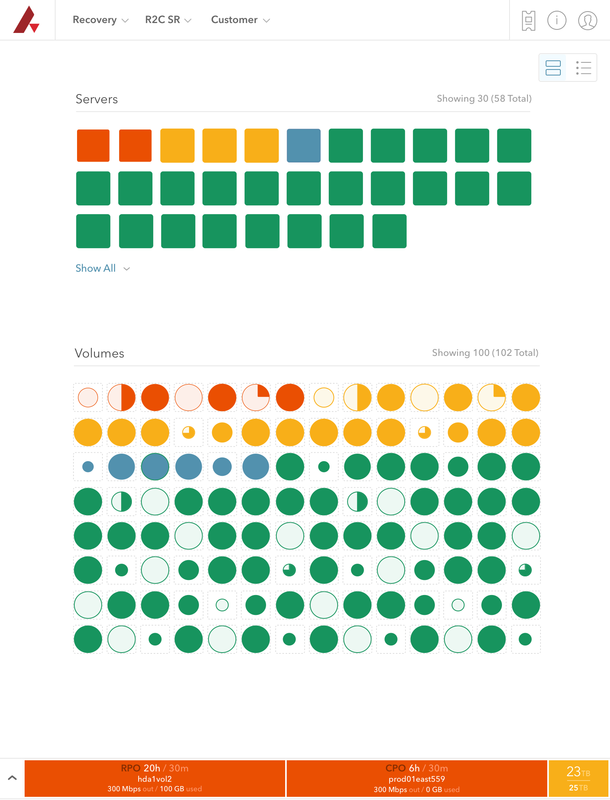 We created a design language using a simple series of colors, shapes, and charts that admins could see and interpret in a few seconds. The simplicity of elements also contributes to great performance of the app. While the main purpose of Recovery is for admins is to see the health of their environment, they also needed a way to see more detailed info. We designed a sidebar that packs a ton of functionality into a small space.